Certified Genflex TPO roofing in by Culver Roofing Company provides energy savings, and strong protection for your commercial building with a commercial TPO roof system. It stands up to hail, leaking, and tearing in the worst of what weather throws at you. Applied with our over 30 plus years of expertise, it is the ideal single-ply membrane TPO roof system. You can start saving on energy bills right away and saving money long term with less frequent repairs and affordable maintenance plans. TPO (Thermoplastic Olefin) is a flexible combination of polypropylene and ethylene propylene that is perfect for any flat or low-sloped surface for your commercial building. Your Genflex TPO roofing will be highly resistant to punctures, tears and leaks and fire. You will reduce the maintenance headaches that come with less sturdy commercial roof surfaces. It is rubber-like, expanding and contracting with building movement and climate changes. A Genflex TPO roof system will reduce the risk of cracks and peeling that occur in other commercial roofing materials. Commercial Genflex TPO roofs are environmentally friendly and energy-efficient, saving you money all year long, especially in the intense summer heat. Widespread use started in 2003. Since then, this membrane has become the fastest growing single-ply commercial roof material in the nation. Commercial Genflex TPO roofs by Culver Roofing Company is efficient to install and can be implemented quickly. It is simply rolled out and securely adhered to the roof decking. The edges are heat-welded at seams and intrusions. For you to fully realize the many benefits, expert installation by Culver Roofing Company is a must. Proper attachment is essential in windy environments. Then you will be certain that wind cannot lift the edges. Your operations will be safe, and your contents protected. 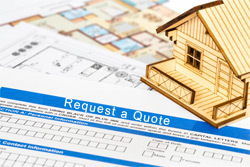 We are the experienced roof contractor to do your job correctly. 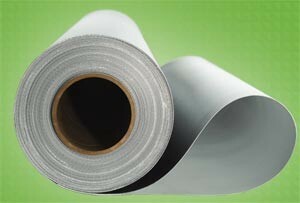 You want to combine this single-ply membrane with top of the line insulation. This will keep your building warmer in winter and cooler in the summer. It also adds a slight slope that eliminates standing water. You’ll have even greater leak protection and a longer useful life cycle. You can trust that we know this material. We have been applying Thermoplastic Olefin since it appeared on the market, and we have been meeting the area’s commercial roofing needs for over 30 years. Commercial Genflex TPO Roofing by Culver Roofing Company saves energy. The right color, insulation and ballasting can make commercial Genflex TPO roofs an energy-saving dynamo all year round. It is an effective Cool Roof, with an initial solar reflectance of at least .70 and an initial thermal emittance of .75. That means that you will see a reduction in both cooling and heating costs. You can save in energy costs of heating and cooling your facility, freeing up money in your budget for other priorities. Genflex TPO is both ENERGY STAR compliant and Cool Roof Rating Council certified. Your occupants will feel comfortable all year long – and at a savings to you! It reflects an average 80 percent of UV radiation – far above the 65 percent minimum required for ENERGY STAR compliance. A cool surface reduces electrical demand, lessening your carbon footprint. It is an ideal way to show the community you care about the environment. Commercial Genflex TPO roofing will be thicker and more reflective than standard rubber roofing, so your HVAC won’t have to work as hard, reducing your maintenance costs. And that gives you a competitive edge. Just take a look at our high-performance EPDM.The GenFlex EPDM single-ply membrane is tough, standing up to tears, impacts, punctures and normal roof traffic. It’s durable, offering excellent resistance to ozone and ultraviolet light exposure. And it’s reliable, maintaining elasticity and flexibility that lasts. So let’s roll. EPDM (Ethylene Propylene Diene Monomer) – an elastomeric membrane ideal for commercial roofing applications. AFR EPDM – a fire retardant EPDM membrane that can be installed over a variety of substrates. FRM EPDM – an EPDM membrane reinforced with tough polyester fabric for superior tensile strength and performance. FlexWhite EPDM – a white-on-black EPDM membrane that combines the benefits of a highly reflective white-surfaced membrane with the proven application techniques of a flexible EPDM roofing system. GenFlex EPDM is ideal for either new roofs or for roofing over a variety of common roof deck types and insulation materials. GenFlex EPDM systems have a performance history of over 20 years and can be warranted for up to 20 years depending on the system design. Our EPDM meets all the requirements of the EPDM ASTM Standard D4637, making it a solid and versatile choice for your roofing applications. Genflex EPDM gives you a competitive edge. The GenFlex EPDM single-ply membrane is tough because it stands up to tears, impacts, punctures and normal roof traffic. It’s durable, offering excellent resistance to ozone and ultraviolet light exposure. And it’s reliable, maintaining elasticity and flexibility that lasts. In tech-speak, GenFlex EPDM meets all the requirements of the standard specification for EPDM, ASTM Standard D4637, making it a solid and versatile choice for your roofing applications. Suitable for new construction or reroofing jobs, GenFlex EPDM membranes can be installed fully adhered, mechanically attached or ballasted. Fully Adhered systems are ideal for roofs with unusual or odd-shaped contours, or where mechanical penetration of the membrane is not desirable, while providing exceptional wind performance and longevity. Once positioned over the substrate, the back of the membrane and the substrate are coated with GenFlex bonding adhesive, allowed to dry, carefully rolled back into position and broomed into place. Ballasted systems are perfect for installations where speed and economy are prime considerations, and the substrate is capable of supporting the system’s dead load. Slope must not exceed 2″ (50.8 mm). Insulation and membrane are loose-laid with the membrane fastened only at the perimeter. Recommended ballast is smooth, water-worn rocks. A durable TPO roofing system can keep your roof cool under extreme conditions, and keep your building looking good in the process. GenFlex EZ TPO single-ply roofing systems fit the bill. The Genflex TPO systems, including the revolutionary GenFlex Peel & Stick™ EZ TPO, offer the durability it takes to withstand the most punishing elements. Plus, they provide outstanding heat-reflectivity and energy efficiency for high performance that’s strikingly affordable. 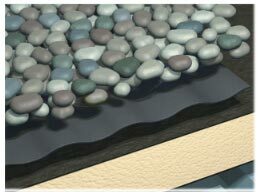 Polyiso is one of the most effective and economical insulation products in the roofing industry. GenFlex Polyiso goes above and beyond. GenFlex Polyiso highly efficient thermal insulation board options combine unmatched reliability with impact resistance, energy savings, flame resistance, moisture resistance and ease of handling and installation. Plus it’s crazy affordable. So why go anywhere else? 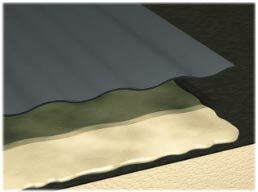 Polyiso – with a higher R-value per inch than other insulations, energy savings are built right in. Tapered Polyiso – tapered to provide a sloping surface that promotes positive drainage for roofing applications. For Design Assistance or to Request a Quotation, please contact estimatingservicesdept@genflex.com. Polyiso is highly efficient thermal insulation board with a polyisocyanurate foam core bonded to fiber-reinforced facers. It is approved for new construction and for reroofing over steel, wood, noncombustible and certain types of nailable roof decks. It can be installed as a fully adhered system, mechanically attached or ballasted. 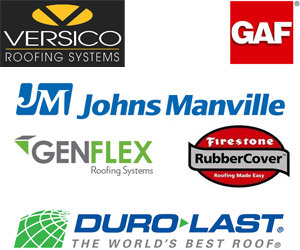 Culver Roofing Company is a Genflex roofing expert for commercial Genflex roofing, industrial Genflex roofing, and residential flat roof Genflex roofing. With over 35 years of experience in commercial roofing experience, there is no Genflex roofing job too big or too small.Please fill out the following form to the best of your knowledge, as this will help expedite the roofing estimate process or Call Us At 832-671-1357 for immediate assistance.